So how do you secure your ssh server so that inquisitive people across the globe can’t access and harm your sensitive data? If you don’t want to read through the full explanation, click here for the tl;dr version. Most of the settings we discuss exist in the SSH config file, /etc/ssh/sshd_config. To edit this file, use your favourite text editor (gedit, nano, vi, whatever) as root, as you’ll need elevated rights to save the file afterwards. Finally, if you’re using this guide to secure a remote server, make a backup of sshd_config before you start, and keep your active SSH connection running when you do a restart. Perform your tests with a new SSH session, and if you can’t connect, go back to your original session, restore the backup of your sshd_config and restart the server to roll things back. Step 1: Install SSH (if you haven’t already). If you’re using a different Linux distro or a flavour of Unix, then jump on to google and type “install ssh server ” to hunt down a howto. Step 2: Choose a strong password. A strong password is crucial for every account on your machine – Especially root, as it’s the most commonly attacked account. You can test the strength of passwords on your system with John the Ripper – if it doesn’t take long to crack, then it’s time to change your passwords to something stronger. Be at least 8 characters long. 12 is better. Step 3: Restrict logins to protocol 2. Step 4: Don’t use port 22. Step 5: Restrict which users can connect. By default, your SSH server will allow every user on your computer to connect remotely. We can restrict who can connect in three ways. Step 6: Restrict which parts of the ‘net can access your machine. Step 7: Make it harder for attackers to get a foothold. By default, unauthenticated sessions (connections where the server is waiting for a username or password) allow ten connections to your machine, all of which will have two minutes to authenticate before the system boots them out. This means that attackers can potentially have a few attacks running concurrently. Thirty seconds is plenty of time to enter your username and password. The second section reduces maximum login attempts to 3 (which can increased if you have lots of people logging in). You can also add some extra options to MaxStartups to force the system to drop extra connection attempts at random – check man sshd_config for more info. Part of the SSH suite is public/private keys, where the server has a public key and your local workstation has a private key. Without the correct private key, connections will be rejected. Step 8.1: Create a private key on your local Linux workstation. Enter a passphrase to further secure the key, or you can press enter if you don’t want one. 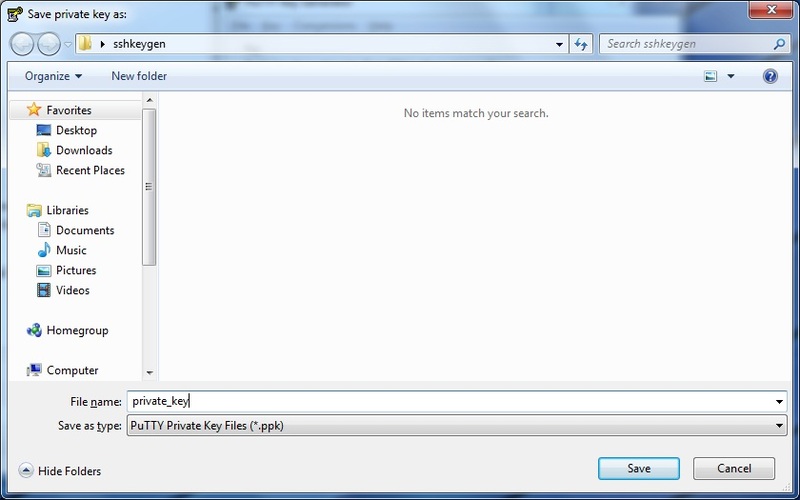 Step 8.2: Create a private key on your local Windows workstation. 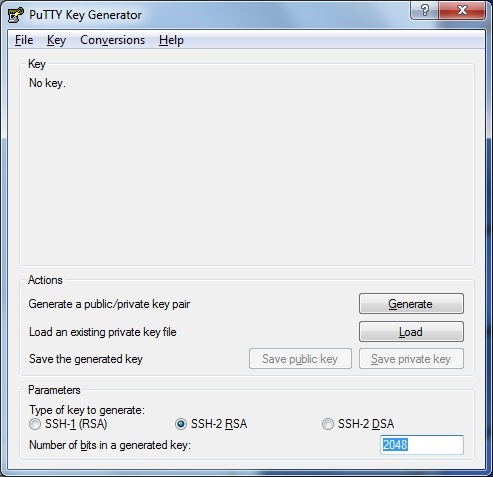 PuTTY is my SSH client of choice, as it’s simple, lightweight, and offers a really complete feature set. It even includes a serial option, which is handy for logging in to routers, switches and phone systems, which I tend to do regularly. 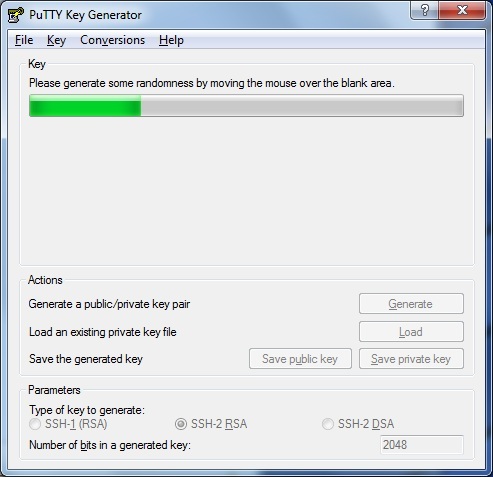 When you get a copy of PuTTY, you can also download PuTTYgen – an RSA key generator for creating a public/private key pair. The top field is your new public key, which we’ll copy over to the server in a moment. Moving down we have the key fingerprint, a comment for the key, and the key passphrase. If you want to have a passphrase in addition to the key, enter it here. If not, leave it blank. Next, press “Save public key” and “Save private key” and save the two files to a safe place on your local workstation. Step 8.3: Disable password logins on your server’s SSH config. Again, keep a connection active after you’ve done this in case you’ve messed something up, because from this point on you won’t be able to access your server without your public/private key pair. Once that’s done and you restart your server, anyone who doesn’t have their keys set up will simply be rejected outright. ← Network timeout while downloading iOS 4.0.1?